Foodies have to try everything, right? I’ve been travelling a lot this summer, and have been twice to Amsterdam in a month, so I felt it was finally time to try herring from a street stall. Let me just note here that I don’t actually like raw fish very much (unless it’s smoked or sliced super thin) and only recently got over my sashimi-phobia, so my review of raw herring will probably be a bit biased. One fine Sunday afternoon in Amsterdam after Dance Valley, David, Jeremy and I moseyed over to the floating Bloemenmarkt on the Singel canal to check out the flowers. Surrounded by bright yellow waxed wheels of gouda and bucketfuls of tulip bulbs (fun fact: did you know the Dutch continue to donate 20,000 tulip bulbs to Canada each year in thanks for their contribution to the liberation of Canada and sheltering of the Royal Family? ), it seemed like a great opportunity to finally try herring. Is it typically Dutch? No idea. Were there a lot of tourists? Most definitely. 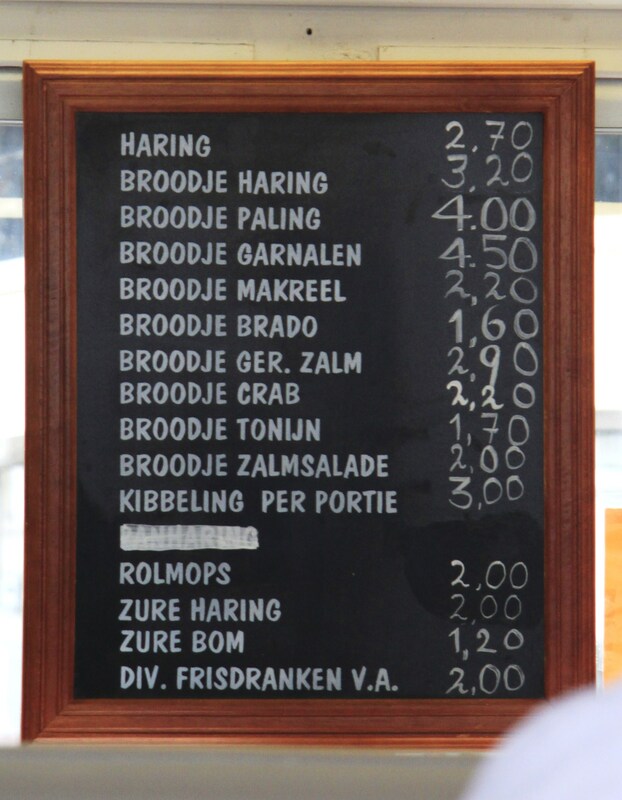 The herring itself was simple to order, and came with the option of having raw onions and/or mustard on top. 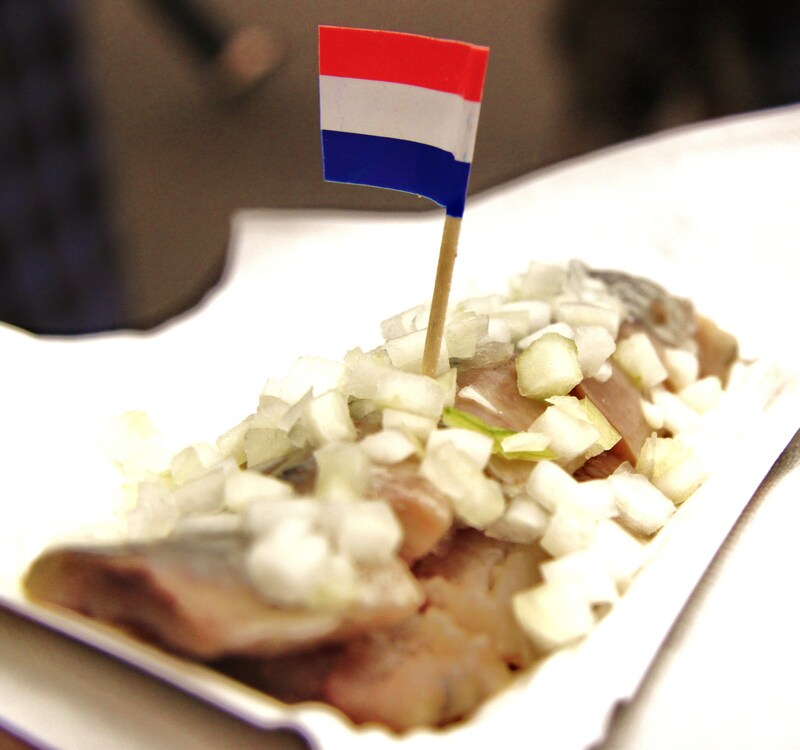 It’s sliced into bite-sized chunks and served with a cute Dutch flag, which also served as the eating utensil. My first bite was alright – a little fishy, but still somewhat tasty. The onions were a definite bonus and, in hindsight, I should have asked for the mustard as well. It looked like standard raw fish, though I feel like it could have been more salty. However, it was the texture that really threw me off. There seemed to be a bit of a slimy film on the fish skin – I should have expected it, since it’s fish, after all. It was a bit difficult to finish the whole thing, but I finally got through it. < Previous PhooD around town – Quo Vadis? Everytime I go to the deli I always have this impulse to buy bottled herring. Have you had it before? Because I reckon the bottled ones are the same with what you have. And after I read your post (although the experience was not at all lovely) I am thinking of buying it this weekend. uhm… save me? I’ve never had bottle herring from a deli before, but yes, I do imagine it’s similar. The taste is definitely an acquired one, and I wouldn’t eat it without something else (bread, crackers). I wonder if it’s possible to ask for a sample from the deli counter before you buy the entire bottle? =) Otherwise, I’d just do it – you can always cook them if you don’t like them raw! Oh dear, oh dear… hold the onions next time! The onions were necessary before the invention of the modern fridge to mask the rancid smell of the herring. Nowadays the herring is sold as it’s supposed to be, not rancid, and the onions will kill the delicate taste of the herring. It takes a professional hand to clean the herring, you should eat the herring right after cleaning. 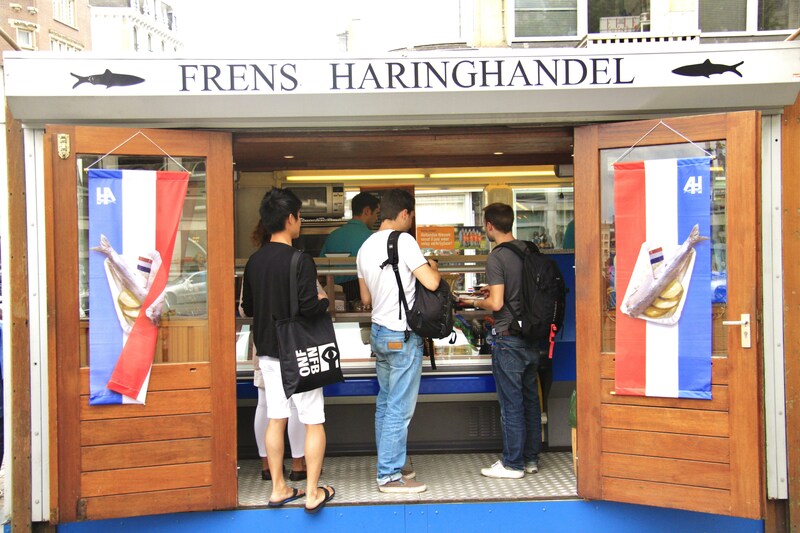 Some shop owners clean a batch of herrings early in the morning to be sold during the day or – horror! – even the next day. The ‘bottled’ herring is very different. This is herring marinated in vinegar and spices.